The Art of Dragon Age: Inquisition gives a detailed insight into how the defining aspects of the game came to be. The book illustrates how much time and thought was put into every part of the game. From countless iterations of character designs, to complex and beautiful landscapes, the Art of Dragon Age: Inquisition gives a behind the scenes look at game design. As solely a coffee table art book, The Art of Dragon Age: Inquisition serves its purpose very well. The art is beautiful and unique, and gives an insight into a mysterious world. The finished pieces of art are incredible, but what I found more fascinating was all the trial and error work that went into creating the final pieces. For any given character model, sculpture, or piece of scenery there are twenty or more different iterations that were tried. What was more impressive still is that they were not quick sketches. Rather, they were fully fleshed out, intricately detailed and colored models of the given character or object. I was impressed at the level of detail that went into each drawing, even though all but one or two got scrapped. I was particularly impressed by the characters. The artists were able to completely change or reform a character by adding the tiniest details. The slight curvature of the jaw, the placement and angle of the eyes, the stance and posture of the character. These are just a few examples of relatively prominent details that define a character. All that is without even delving into the character’s clothing and how drastically that changes the character. I never realized just how important the dress of a character is. Especially headdress. What the character is wearing, or not wearing on their head has a large impact on one’s first impressions of the character. In the book, most of the iterations of the main character are just various helmets and hats on the same character. However, the artists of Dragon Age: Inquisition do not fall short in designing very cool armor and clothing as well. The characters were not all human either. As with any good RPG, there were incredible amounts of cool, and often horrifying and gruesome creatures and demons. I was sad that I hadn’t played the game, if nothing else than for the chance to fight some of the creatures. The world of Dragon Age contains plenty of cool objects and gadgets. From terrifying battering rams, to intricately detailed idols and statues, much of the world of Dragon Age was defined by the objects and scenery within it. Every object, from cabinets to tapestries to carpets, was carefully designed to reflect its particular atmosphere. Similar to the character design, it was the small things that made each piece unique. One thing that surprised me was how much of the scenery seemed to be inspired by the religion of that area. It is described within the book how religion was used as a stepping stone when designing the small intricacies that accentuated the overall tone of the object or area. Although the architecture was definitely impressive, I found that many of the buildings and areas were very familiar. Because I had seen them, or things similar to them in other games. The dreary broken down castle, the enamored golden city, the grand halls. All of these are common in almost any medieval RPG, however Dragon Age didn’t seem to make them unique to that world. Granted, there are always exceptions, and I found some pieces of architecture in the book that were quite extraordinary. The natural locations were much stronger. Intricate and creepy cave systems, rolling hills, hidden valleys and more. While many of these are stereotypical, they all seemed unique, and reflected the atmosphere of Dragon Age: Inquisition. The Art of Dragon Age: Inquisition is a high quality, detailed art book that provides an excellent look into the making of the game, and the final result. It gave me a much better appreciation for the amount of work that is put into the art of a game, and how large an impact that art has on the final game. The artwork in this book has inspired me to continue forming my own fantasy world, and given me insight into how much more I have to do. The Art of Dragon Age: Inquisition, published by Dark Horse, November 18, 2014. October Product Review Contest Winners Announced! Wow! Thanks to everyone who submitted amazing product reviews last month. As part of our monthly Product Review Contest, we’ve picked people who submitted product reviews and are awarding $25 gift certificates to the people who posted them. I’m late to the party, so I picked up the TPB and found out what everybody else has known for months. The characters are amazing and the creativity of the art is stellar! Get on board this book asap ! I wasn’t sure what to expect from this one. I picked it up based on Terry Moore’s name alone and I don’t regret it for a second. Quirky, humorous, mysterious. The list goes on. This is a series I’ll be following for sure. 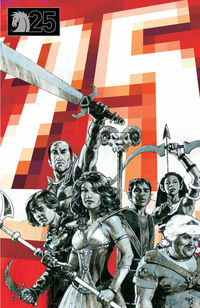 Amber from Hedgesville, WV wrote this review last month of Dark Horse’s Dragon Age: Those Who Speak #2. 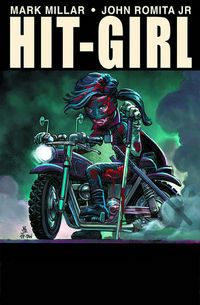 As with the previous comics, the artwork is colorful and vibrant and really brings these characters to life. It was nice to see some development in the character of Isabela, as she had seemed somewhat one-dimensional, shallow and selfish up until now. Can’t wait to see how this story unfolds! Thanks so much to everyone to everyone who wrote reviews last month. You’re helping people decide what to read (or not to read) next. What do you want to see next? Post your comments below! Every month, we choose a few outstanding product reviewers and send them free stuff as part of our Product Review Contest. After poring through some amazing product reviews from May’s submissions, we narrowed the field to three victors. Derek from Georgia reviewed the Blackest Night Kyle Rayner Action Figure and here’s what he had to say. This action figure is the best one for Kyle Rayner out there. The head moves and so do the arms shoulders, hips and knees. It is well constructed and very detailed. 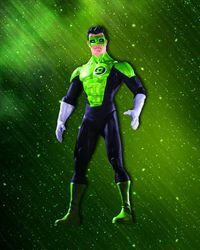 A big problem with this figure is that the battery that comes with him is not his, it is a generic green lantern battery. This is a huge oversight and it makes me very unhappy with the quality control people at DC. The battery isn’t even pictured with Kyle in the advertisement which leads me to believe that they knew about the mistake and did not change it anyway. 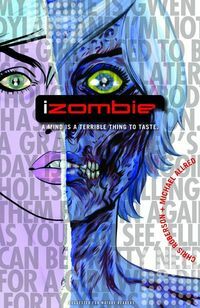 Stephanie from Chicago reviewed the specially priced first issue of I, Zombie. I thought this was a great start for a zombie series. I love the tragic zombie hero Gwen Dylan who hates what she is but in order to keep herself sane and not go (as she likes to put it) “All Night of the Living Dead” on everyone she must do what it takes yeah and eat a brain here and there. Not a desirable life but it’s her deadish life, lol. 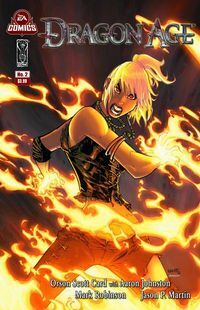 I also like the different characters and the assortment of supernatural characters in this comic book. You have a go-go dancer ghost,a were-terrier,paintball-blasting vampires and I’m sure more to come in the next two comic books 🙂 Not to mention the cover is absolutely fabulously freaky! Love it! Since I am such a zombie fan I do suggest this to those zombie lovers out there and completely enjoyed my first comic book experience! Thanks! And Joey from Dubuque, IA wrote a really good review for the first issue of Dragon Age. 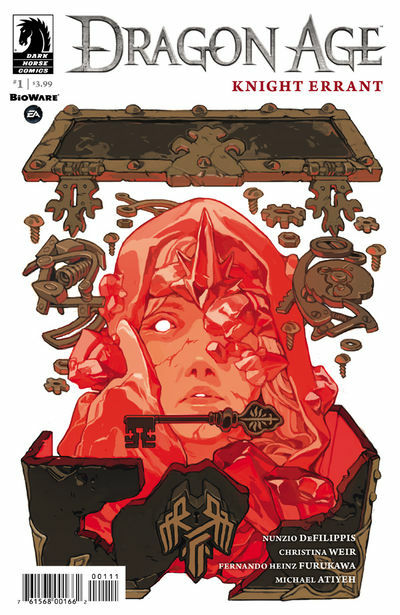 This comic is a good beginning to the dragon age comic series. With Orson Scott Card as one of the writers it can only go up from here! I highly reccomend checking it out. The art is great, the story is compelling, and the subject matter, although familiar, has a breath of fresh air being baseed on the Dragon Age Game. All three of this month’s winners will get $25 TFAW gift certificates to pick up anything they want! Thank you to everybody who submitted product reviews last month and congratulations to the winners. As always, we’re choosing our product reviews carefully, so please don’t submit duplicate reviews or submissions from other merchant websites. You don’t have to like the product to snag a winning review, so feel free to rant or gush.